Those hoping that the default Mail app would get a major overhaul in iOS 6 will likely be disappointed. Despite a few new features, Mail is nearly identical to its predecessor. With VIP inbox, you can set up the Mail application to only send you notifications when certain contacts email you. That way you aren’t bothered with spam and other non-important stuff. My favorite change, though, has to be the ability to attach media to your messages from within the Mail app. This means you no longer have to initiate emails with pictures or videos from the Photos app. Cool. That’s pretty much it as far as major new features in iOS 6 Mail. There are a few other subtle changes — like the ability to swipe down to refresh your inbox, but otherwise, most folks won’t be able to tell a difference. 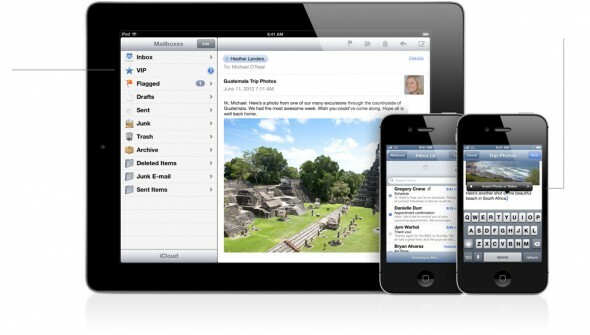 What do you think about the iOS 6 Mail improvements?